Ventura Foods is a leading national manufacturer and marketer of branded and custom made shortenings, oils, dressings, sauces, margarines, culinary bases and pan coatings for the foodservice and retail industries. From East to West, Ventura keeps pace with the dynamic food marketplace by delivering high quality products at competitive prices. In fact, our company’s growth is fueled by long-lasting profitable partnerships that benefit all parties. We do this by meeting the challenges of an ever-changing world by applying the strengths of our commercial resources, the talents of our employees and the opportunities created by new technologies. Throughout our rich history, one thing hasn’t changed: the dedication to our customers and the consumers we are proud to serve. 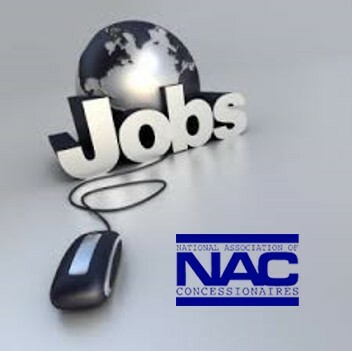 The Concession Sales Department serves a widespread domestic and international market with two employees; the Director Concession Sales and Sales Representative – Concession. These two individuals are responsible for maintaining and growing the sales volume and margin of concession products to meet the business objectives of the Company. The Sales Representative – Concession assumes the full duties of the Director of Concession Sales whenever he is traveling or otherwise unavailable. Assume the full duties of the Director of Concession Sales whenever he is traveling, on vacation or otherwise unavailable. Responsible for maintaining and developing the business. Develop new customers and maintains relationships with existing customers through contact either at the customers’ locations or through phone calls, email, newsletters, trade shows, etc. Ensure orders are entered correctly and that timely delivery is scheduled. Work with Plant Scheduler, Sales Coordinator, Traffic and others to make this happen. Work with customers when problems arise to determine the exact nature and scope, then coordinate efforts of appropriate Ventura Foods personnel to achieve resolution. Oversee accounts receivable of Concession customers. Work with HQ Credit department to make sure deliveries are not held due to late payments, work with Customer to receive payments in a timely manner Maintain rebate agreements and prepare payment check requests and adjust accruals as necessary to reflect accurate liability. Oversee Margin Management Program. Maintain price lists as commodity prices change. Periodically review margins and advise Director of needed adjustments. Provide supervision to Admin Clerk in areas of pricing and credits. Continuously provide training in all areas of Concession to increase Admin Clerk’s knowledge and value. Review customer oil contracts weekly for timely usage and whether it is time to negotiate new contracts. Obtain usage figures for negotiating new customer oil contracts or determine if customer qualifies for contracts. Review pricing for possible adjustment. Coordinate preparation and execution of all Trade Shows. May serve as single representative of Ventura Foods at smaller trade shows or may work the floor as part of a team.